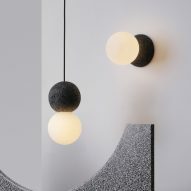 Set to debut at this year's Milan design week, the Origo collection includes pendant and wall fixtures constructed from the simple geometric forms. 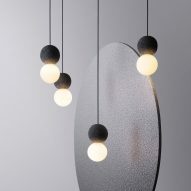 Each of the designs comprise a rounded black volcanic base with a glass bulb attached. 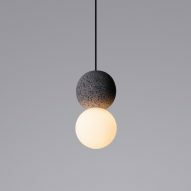 The pendant light comprises two stacked spheres suspended by a black wire. 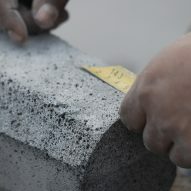 For the wall lamp, the same materials are repositioned horizontally, with the sliced the stone in half for mounting. David Pompa developed the lamps through the studio's exploration of light, shapes, and contrasting materials. 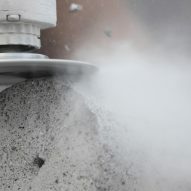 Origo – the latin word for origin – "speaks about the origin of the universe, a specific point of time, an intersection of axes in space, where everything begins," David Pompa said in a project description. 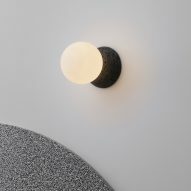 "Origo's minimalistic forms reinforce the fundamental relationship between light and shadows," it added. 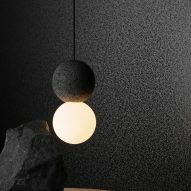 Recinto – the black volcanic stone used in the lighting – has a rough porous texture that contrasts the smooth surface of the glass element. 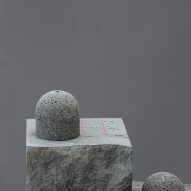 "The soft light shines onto the texture of the volcanic rock, revealing its relief and contour," said the studio. 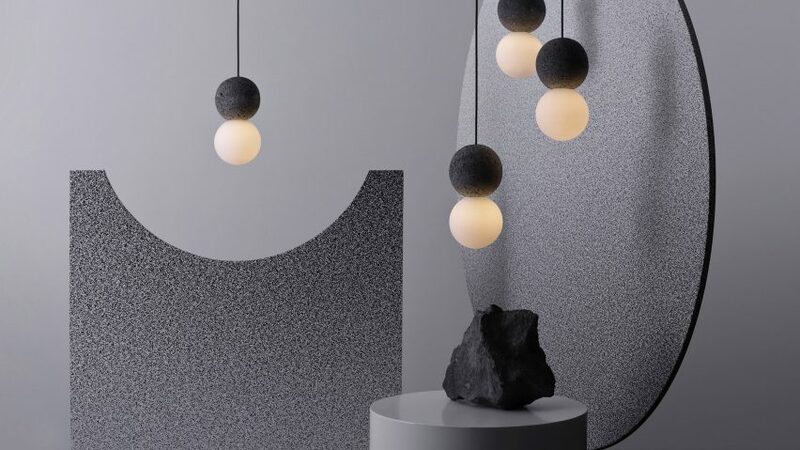 "The handmade recinto volcanic stone is illuminated by the opal glass, uncovering its nature and character." David Pompa has also used Recinto for previous projects – such as the Meta pendant light – to celebrate its roots in Mexican culture and design. 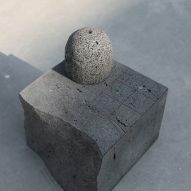 "This strong and resistant rock has been present in Mexico, used by several Mesoamerican cultures, mainly for sculptures, kitchen utensils and architecture," said the project description. Design studios Bravo! and GT2P – both based in Chile – are among those who have also created works that aim to make the most of the material's texture, varying hues and patterns. 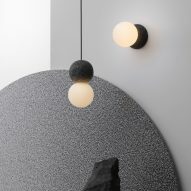 David Pompa will present its work at lighting exhibition Euroluce during the Milan design festival, which takes place from 9 to 14 April 2019. 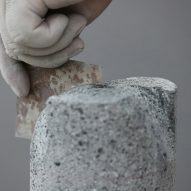 Origo will be showcased alongside other designs by the studio in an exhibition space titled The Material Landscape. 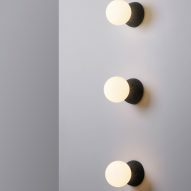 It marks the studio's second time at the event, after it became the first Mexican practice to be featured at Euroluce in 2017.